States are urged to settle disputes concerning the interpretation or application of the Convention by peaceful means, by exchanging their views, and by negotiations. As an additional or alternative step, a state may invite the other party to institute conciliation proceedings, which will be held only if the invited state accepts. Conciliation proceedings instituted before a five-member conciliation commission can solve the dispute only by means of an agreement between the parties, as the power of the commission is restricted to hearing the parties, examining their claims and objections, and making proposals to the parties with the view of reaching an amicable settlement. Such proposals may be made at any time during the proceedings, but if this is not possible (or reasonable), the commission is to prepare a report within twelve months of its constitution for deposit with the Secretary-General of the United Nations; the report is to include any recommendations the commission may consider appropriate for an amicable settlement of the dispute. The Secretary-General then notifies the parties concerned, who have three months to accept the commission's recommendations. In any case, the report is to record any agreements reached and, failing agreement, the commission's conclusion on all questions of fact or law relevant to the matter in dispute. 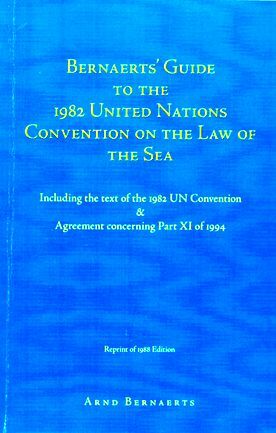 Compulsory conciliation is established as obligatory for settlement of disputes in only two areas, namely coastal state sovereign rights in respect to marine scientific research and fisheries, as enumerated by the Convention. 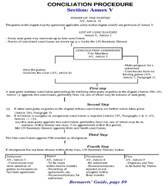 The Convention arrives at this result in the following way: although dispute settlement procedure is actually obligatory in these matters as in others, states need not accept this procedure where basic principles are concerned (in fact the most important questions). However, if a coastal state does not comply with the regulations of the Convention in a variety of matters (in summary: a specific research project in accordance with Articles 246 and 253; fish conservation and management measures; refusal to determine the allowable catch; refusal to determine the surplus in accordance with Articles 62, 69, and 70), the Convention requires at least the institution of compulsory conciliation. The general principles of compulsory conciliation procedure are the same as those for voluntary conciliation given above, but there are two significant differences. First, the conciliation commission is constituted and the proceedings held, regardless of whether the other party to the dispute attends or replies; second, the report of the commission (or its recommendation for an amicable settlement) in fishery cases is to be communicated to the appropriate international organizations, a measure which could apply at least some pressure on parties to participate in any conciliation proceedings instituted. But in no case is the conciliation commission to substitute its discretion for that of the coastal state. If the parties disagree as to whether the commission has competence, the commission is to decide the question. 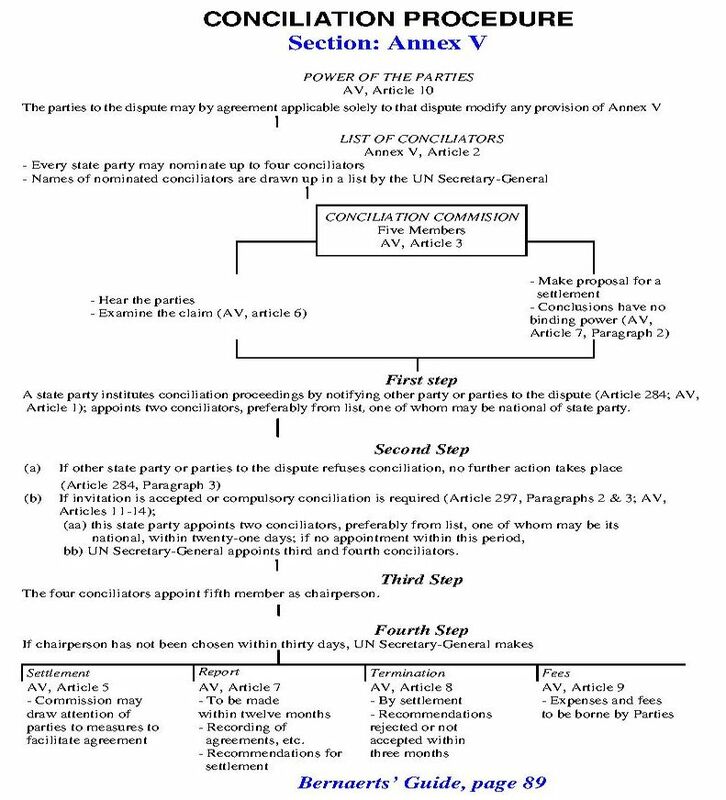 Compulsory conciliation procedure can also be chosen as an option in certain types of disputes involving boundary delimitations with opposite or adjacent states in that a state declares in writing that it does not accept dispute settlement procedure for such cases; this declaration is only possible if the state accepts compulsory conciliation procedure in such questions if agreement is not reached in a reasonable time by other methods. It should be noted that the Convention's overriding goal is for states parties to arrive at a peaceful and amicable solution to their disputes, and the parties are given almost complete freedom in their choice of procedure for all kinds of disputes.